The world's first truly wearable Bluetooth speaker. SECURELY CLIPS TO YOUR CLOTHING - Spring steel clip securely clips to any apparel — fasten it to your shirt collar for optimal performance. 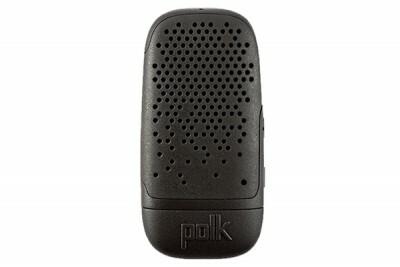 BUILT-IN SPEAKERPHONE - Take hands-free calls and talk safely whether on a bike, in the car, or wherever the journey leads. INTEGRATED USB FOR CHARGING - Standard USB with cap for quick and easy on-the-go charging.